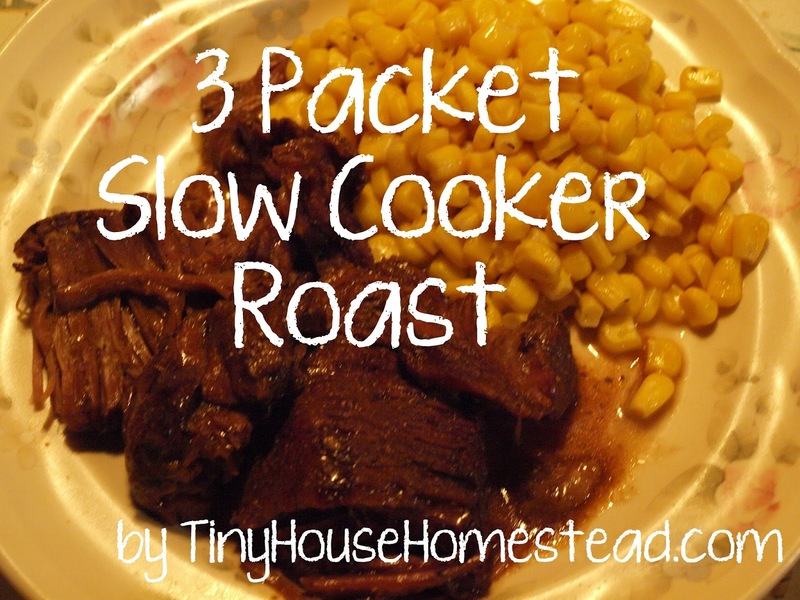 Creating a wholesome dinner has never been easier than when using slow cooker. I love my slow cooker because I come home after a long day to a house that smells wonderful. I can sit down to relax and enjoy a meal without any muss or fuss. My good friend and neighbor, Chrissa, shared this simple recipe for a wonderful roast that tastes amazing. This roast is fall-off-the-bone tender. You can add carrots, onions, potatoes, whatever you want. 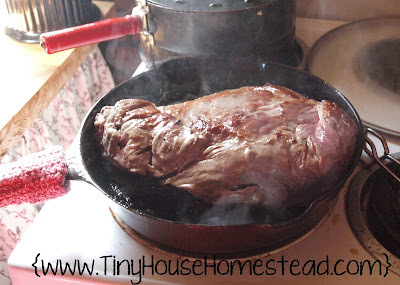 Make a large roast or a small one, either way you can't loose. 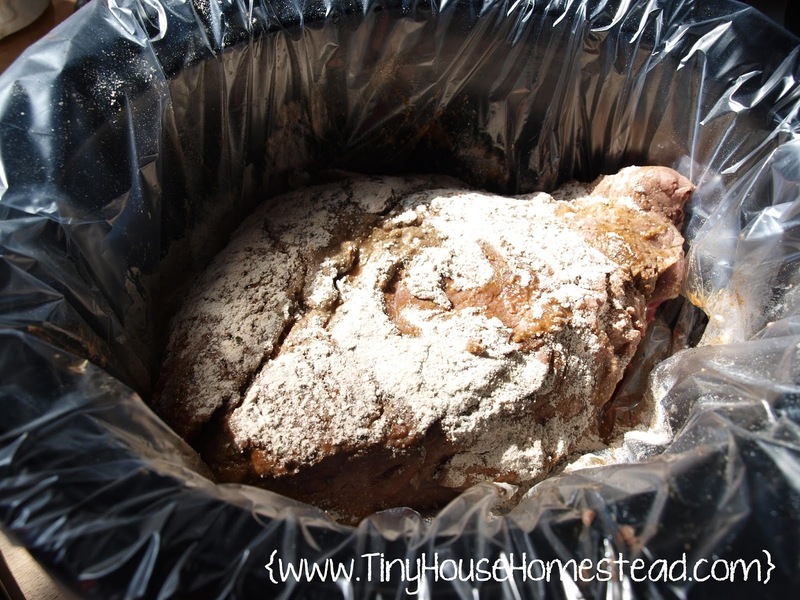 Make a large roast and freeze some for a later meal. 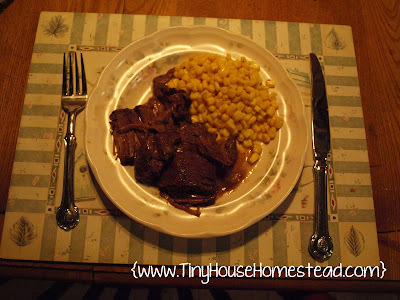 This recipe is great for cheaper cuts of meat and will help stretch your grocery budget. Enjoy! Vegetables such as carrots, potatoes, onion, etc. 1. 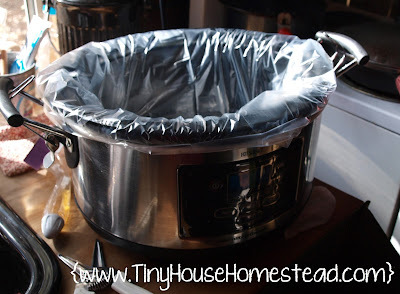 Line your slow cooker with a slow cooker liner. This makes clean up a breeze! 2. Sear the beef using in two tablespoons of oil. 3. Add any fresh carrots, potatoes, and onions you want to the bottom of the slow cooker. Use fresh, uncooked vegetables. Sprinkle Packets on Meet. No Water Needed. 4. Place the roast on top of the veggies. 5. Sprinkle the 3 packets on top of the seared roast. No water is needed. 7. Cook until the meet falls apart. This method makes an amazingly seasoned roast. Plus it is just so simple! 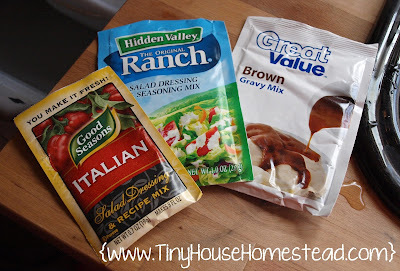 I buy seasoning packets when they are on sale and keep them in my pantry. I also try to buy meat when there is a good sale. This meal is budget friendly and delicious. I love an easy meal that is filling and wholesome. Thanks Chrissa!